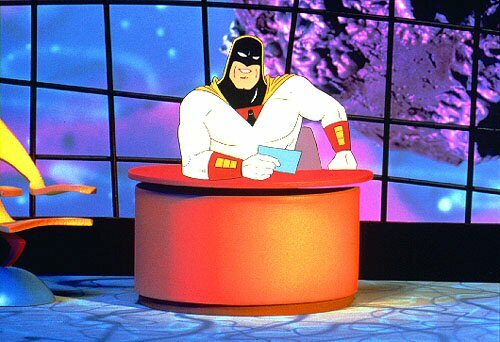 Space Ghost put it best in his hit song... "I'm a knife, just knifing around, cut-cut-cut-cut-cut-cut-cut-cut-cut..."
In order to receive one of our coveted Microwaves101 pocket knife keychains, send us something we can use on our site, especially content for the Encyclopedia. Got a picture of trashed hardware? We'll add it to the Microwave Mortuary. Got a comment or suggestion, or an idea for a calculator? Drop us an e-mail, if we like your stuff, we'll send you a knife. It's guaranteed to be worth more than the postage it costs to mail it to you! Please don't be shy about asking for the free knife, otherwise we might hold out on you! In return for the super-cool knife, we'd like to add you to our mailing list for MW101Stuff, our monthly email that lets you know what's new at Microwaves101. Don't worry, no one will call you or mail you any crap--we don't even want your phone number. We have a zero-tolerance policy for spam, your email address will never be shared with anyone! We've mailed out hundreds of knives since 1999 (mailed to six continents!) and lost a good many in airports thanks to the Transportation Safety Authority. We occasionally have to replenish the stock, so the knife you receive might not look exactly like the one in the photo.